Korvosa withers in the grip of a mad monarch! Beaten down by riots, disease, and the ironclad enforcers of a cruel despot, the people shudder in their homes and pray for saviors. The time has come to rise up against the crazed Queen Ileosa Arabasti and put an end to her vicious rule. Yet within the walls of Castle Korvosa waits an army of soldiers, bodyguards, and diabolical monstrosities—to say nothing of the seemingly invincible queen herself. Can Valeros, Merisiel, Ezren and Harsk put an end to the tyrant’s reign? Or will an ancient evil claim Korvosa once and for all? 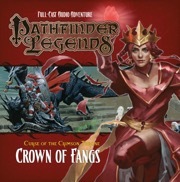 Pathfinder Legends audio dramas adapt the world and characters of the best-selling Pathfinder Roleplaying Game. 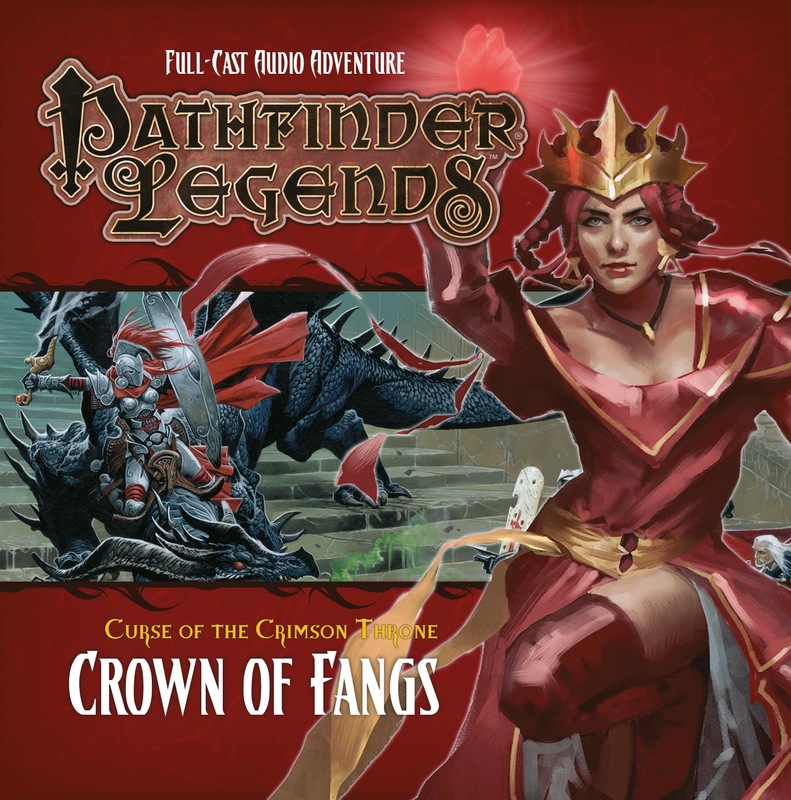 Each episode runs about 2 hours and features a cast of professional actors, sound effects, and music that immerse you into the dangerous and exciting world of Pathfinder! Is this thing saying what I think, that EACH EPISODE of this thing costs twenty bucks? 'Cause if so, there's no way I'm paying that. That's more than I'd pay for an audible audiobook that'd last me fourteen hours. That's more than I'd pay for a boxed set of a single season of a show. If that's the per 'set' cost, I'm okay with that. But am I confused, or what? It's per episode. You should consider, though, that this is not simply an auddiobook, but a full "radioplay" production with full cast, music and audio effects. I get it, but man. I cannot afford to drop a third to half my paycheck on six episodes. That's a huge shame. Any word on the next series?